Should I Get the Canon EOS Rebel T7i/800D or the Rebel T7/2000D? If you're ready to step up from smartphone photography to one of Canon's entry-level DSLRs, you may be asking yourself "Which might be a better option for me? The Canon EOS Rebel T7i or the Rebel T7?" If so, you're in luck. Today we're going to take a close look at these two Canon Rebel cameras to see which might be the better fit for your needs. First, let's take a look at what they have in common. If you glance at the specifications comparison found on this site, you'll likely notice that the Rebel T7 features a faster pop-up flash recycling time compared to the Rebel T7i (2 sec vs. 3 sec), which would seem to indicate an advantage. However, the T7 has a faster recycling time because it has a lower power flash. When fired at the T7's full power level, the T7i's recycling time will likely be similar. Who Should opt for the Canon EOS Rebel T7i/800D? When describing the customers who may be best served by the cameras in one of our comparisons, we typically start with the higher-end option as its versatility will make it an overall better option for most consumers. In this case, the feature difference between the cameras is so substantial and the advantages so one-sided that there is really only one reason to choose the Canon EOS Rebel T7 over the Rebel T7i – a lower price tag. The Rebel T7i's Dual Pixel CMOS AF sensor, more advanced/sensitive AF system, higher burst rate/larger buffer and longer battery life could all be considered justification for the camera's higher price tag when considered individually. Put all those features together and the value you receive for the T7i's incremental price over the T7 is monumental. Who Should opt for the Canon EOS Rebel T7/2000D? 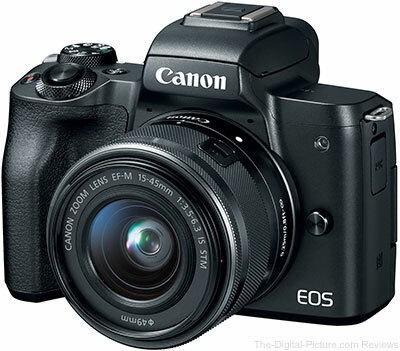 As previously mentioned, the primary reason to opt for the EOS Rebel T7/2000D is for its lower cost. The Rebel T7 will be more than adequate for capturing high quality imagery under normal / not-so-challenging conditions, and those stepping up from smartphone photography will certainly appreciate the benefits of a significantly larger sensor and the ability to change lenses. And speaking of lenses, for the price of a Rebel T7i + EF-S 18-55 IS STM kit, you could get a Rebel T7 + EF-S 18-55 IS II, EF 50mm f/1.8 STM and EF-S 24mm f/2.8 STM lens. Beginner/novice photographers aren't the only groups that will appreciate the Rebel T7's lower price tag. Advanced photographers wanting to capture images in high-risk-of-damage situations can more easily justify the sacrificial cost of a Rebel T7. Such photographers can mount the T7 to a car, motorcycle, bicycle, boat, etc. to capture dynamic imagery without risking damage to their primary camera(s). Few camera comparisons are a clear-cut as this one. The Canon EOS Rebel T7i's superset of features will make it a more versatile imaging platform for those who can afford its price difference over the Rebel T7. But for those whose budgets don't extend that far, especially beginner/novice photographers, the Rebel T7 offers a solid step-up for those currently shooting with smartphones and/or point-and-shoot cameras who want to experience the benefits of interchangeable lens camera photography first-hand. The Canon USA Store is the exclusive North American retailer of the Canon EOS Rebel T7 (so far). The Canon EOS Rebel T7i can be found at B&H | Adorama | Amazon (for more retail links, see the bottom of the T7i Review). Permalink: Should I Get the Canon EOS Rebel T7i/800D or the Rebel T7/2000D? What is the Sensor Change Service? Canon’s sensor change service offers EOS C700 & EOS C700 PL owners the opportunity to convert their standard sensor for the Global Shutter sensor. The Global Shutter sensor offers incredible performance at 4.2K Resolution with 14 stops of resolution at its base ISO. Canon’s Lens Mount Replacement Service offers EOS C300 Mark II and EOS C700 PL owners the opportunity to convert to Cinema Lock EF Mount or back to the original mount*. *If you would like to reverse to the original mount, please include the returned parts with the camera to our service facility. EOS C700 User Guide contains information on how to use Cinema Lock. 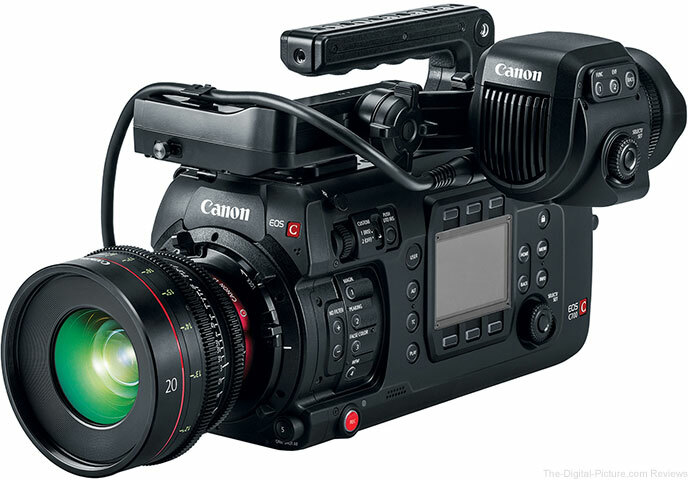 B&H carries the Canon EOS C700 Cinema Cameras. 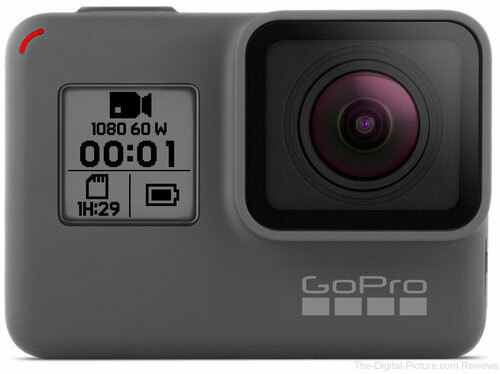 SAN MATEO, Calif., March 29, 2018 – GoPro, Inc. (NASDAQ: GPRO) has added a new HERO camera to the family. On sale now, HERO is a $199, go-anywhere, capture-anything camera that makes it easy to share experiences that would be difficult to capture with a phone. GoPro launches entry-level HERO at the powerful $199.99 price. 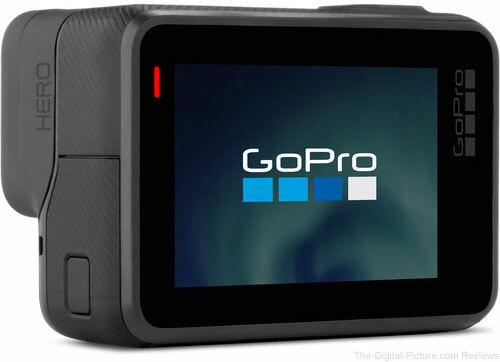 B&H has the GoPro Hero in stock with free expedited shipping. I have a Canon EOS M50 in my hands and just completed preparing the camera for use. Following are the 31 steps I took to make an out-of-the-box M50 ready to use. While the battery is charging, unpack the other items you want from the box. The date, time and time zone setup screen will show at the first startup. Use the rear cross key control and the set button to update this information. Shooting Menu, Tab 1: Image quality: Use top dial to set RAW to "RAW" and rear cross-keys control to set JPEG to "-"
The Canon EOS M50 is in stock at B&H | Amazon | Adorama. 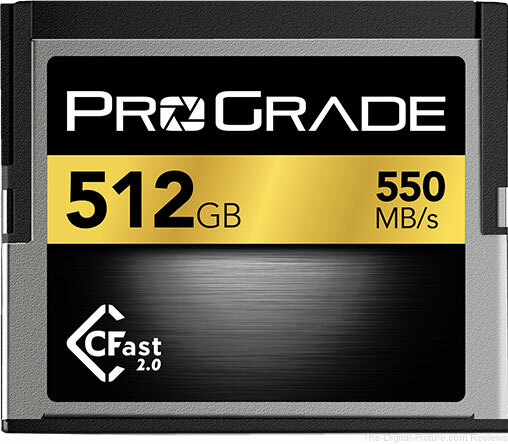 B&H has ProGrade Digital CFast 2.0 and SDXC UHS-II Memory Cards in stock. Unfamiliar with the ProGrade Digital? The company was formed by formar Lexar executives with a focus on memory cards with superior quality, performance and reliability. 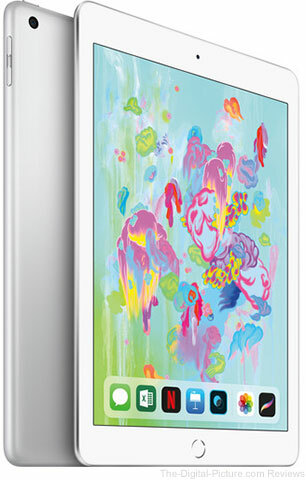 B&H has the newly announced Apple 9.7" iPads available for preorder. Canon is apparently releasing firmware updates for several its Cinema cameras; unfortunately, the udpates aren't available just yet at Canon USA (but I expect they will be soon). To read about the firmware updates, check out this article on the Canon Digital Learning Center. Listed below are the notable changes. The image reproducibility in bright areas has been enhanced when the gamma setting is from Normal 1 to 4. Enhances menu operations so that the Browser Remote setting options are retained after switching off the camera. B&H has the Canon EOS M50 Mirrorless Camera in stock with free shipping. 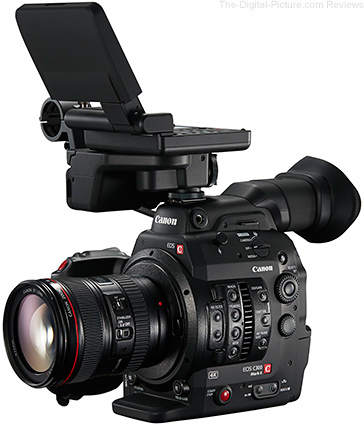 MELVILLE, N.Y., March 28, 2018 – Canon U.S.A. Inc., a leader in digital imaging solutions, today announced the launch of a new addition to the Cinema EOS System: the CN-E20mm T1.5 L F lens - a full-manual 20mm Cinema Prime Lens for EF Mount cameras. A popular focal length, the 20mm lens delivers exceptional optical performance in a compact form factor. With the introduction of this new lens, Canon further enhances its EF Cinema Lens family to meet a diverse range of cinematic and video-production needs, further contributing to the world of cinematography. The CN-E20mm T1.5 L F lens is scheduled to begin shipping in fall 2018. B&H has the Canon CN-E 20mm T1.5 L F Cinema Prime Lens available for preorder. MELVILLE, N.Y., March 28, 2018 – Canon U.S.A. Inc., a leader in digital imaging solutions, is excited to announce the EOS C700 FF, the Company’s first full-frame cinema camera. The beauty and majesty of full-frame digital cinema is now becoming a new creative reality. Since the introduction of the EOS 5D Mark II DSLR camera in 2008, Canon has been a part of the full-frame video movement, and the introduction of the C700 FF has reinforced Canon’s commitment to this market. 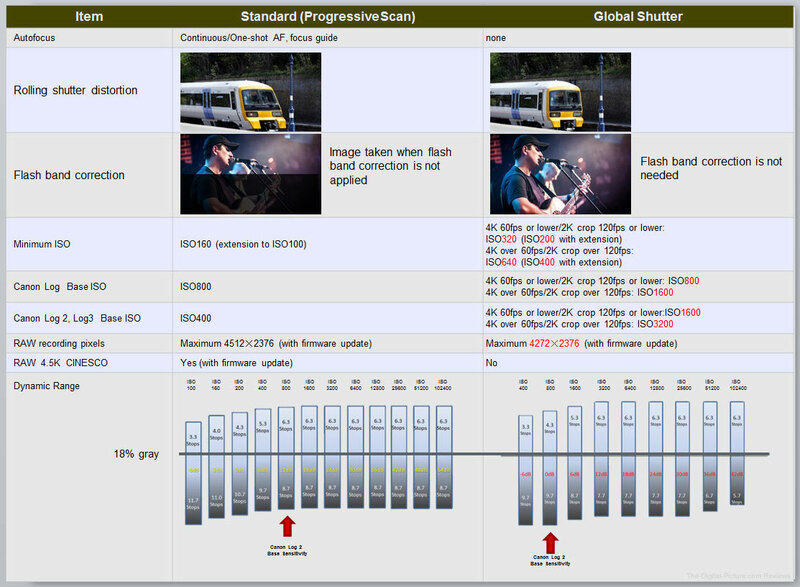 At the heart of the camera is a novel Canon-developed CMOS image sensor having a total of 5952 (H) x 3140 (V) photosites with a digital cinema 17:9 aspect ratio, which gives it the same image circle size as the full frame EOS 5D camera series. This supports a wide range of shooting options. Available in both PL and EF Mount, the EOS C700 FF provides users with the same outstanding performance, operation and modular design as the EOS C700 (released in December 2016). The camera is being shown publicly for the first time at the Canon booth (C4325) at the NAB Show 2018 in Las Vegas from April 9-12. Existing owners of Canon’s original EOS C700 cinema camera will be pleased to know they can have their Super 35mm sensor upgraded to the new Full-Frame sensor for a fee*. Authorized Canon facilities such as Canon Burbank are ready to process C700 upgrades as well as lens mount swaps, and offer equipment drop off, on-site repairs and upgrades, as well as equipment testing and demonstration. B&H has the Canon EOS C700 Full-Frame Cinema Camera available for preorder. Just posted: Canon EF-M 28mm f/3.5 Macro IS STM Lens Review. Again we have John Reilly to heartily thank for his effort in creating this review. The little, highly useful Canon EF-M 28mm f/3.5 Macro IS STM Lens is in stock at B&H | Amazon | Adorama | WEX. Do you need something soon (camera, lens, battery, memory card, etc.)? Now's the time to add the item to your cart and go through the checkout process at B&H before the superstore closes for the Passover holiday. Orders placed before 4pm ET Thu Mar 29 will be processed prior to the holiday closing. Orders placed after this time will be processed when we reopen on Sun April 8. 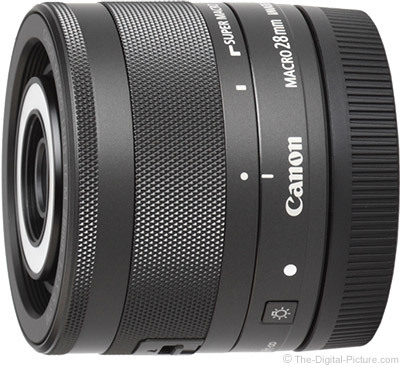 Image quality test results have been added to the Canon EF-M 28mm f/3.5 Macro IS STM Lens Page. A full review of this lens should be available very soon. The tiny, inexpensive Canon EF-M 28mm f/3.5 Macro IS STM Lens is in stock at B&H | Amazon | Adorama | WEX.